for the latest Western Broadband news, please check our blog! 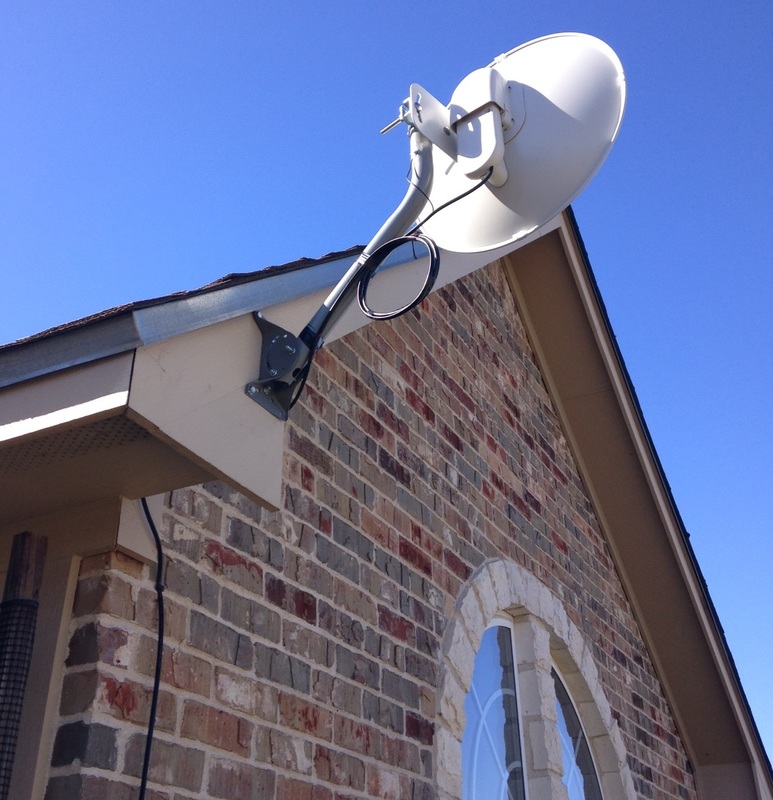 Western Broadband provides a wireless signal from one of our towers to our equipment, which we install on your home or business. This gives you access to our network, and through our redundant fiber links, to the Internet. By providing access this way, we are able to provide high quality, robust Internet access to remote areas without having to run cable across your property. From the radio on the roof, we run a standard network cable into your location, which can hook directly into the network card or router you already have. WDSL stands for Wireless Digital Subscriber Link. Internet connection is delivered via fixed wireless technology, without wires to your home. It is not delivered via satellite, phone lines or cable. Western Broadband will perform a professional installation of the equipment and configuration for your high speed internet connection. We maintain a number of towers throughout our service area, each of which broadcasts service signals to our customers’ homes. There will be a small radio and antenna installed outside the house, which speaks with the tower on one of these signals. The location of the antenna will be selected by one of our trained professionals to get best signal strength and signal quality. The radio will typically need a clear line-of-sight over the signal path to the tower. The strongest factors our technology depends on are 1) your location from our point of presence and 2) the technology we select to deliver the service at your location. After we install the radio/antenna outside the house, we will run a network cable to your computer. The signal will travel from your house to one of our towers, before it reaches the Internet. What Kind Of Speed I Can Get? Various plans are available, with speeds ranging from 3.0 to 15.0 mbps for most of our customers, and (on some hardware) speeds bursting as high as 20 mbps for short periods of time! When surfing, checking e-mail, and exploring social media, the burst rates make your connection run very quickly, although bandwidth intensive usage does reduce the advantage of the burst mode. Please call us to get specific information about plans and pricing. For customers in certain areas, or with limited line-of-sight or other limiting factors, other systems may be available. These other systems may have lower speeds, or lack burst capability, or both. At this time, we typically will not do a new install using this slower equipment, unless the new customer is desperate for any solution to provide them an Internet connection, and is aware of the limitations of it. Is This An Always On Connection? WDSL is an always on connection, there is no need to dial-up to the Internet. You don't need phone lines, so you don't need to worry about getting busy signals or getting booted off. Since your connection is always connected, you just have to open your browser or e-mail and you are there, instantly. How Can This Be Cheaper Than Dialup? Many popular Dial-up providers, such as AOL or MSN, typically cost $21.95 per month. In addition to this you have to bear the cost of an extra phone line which is often in excess of $30.00 per month. When you consider the total cost, you will be paying $51.95 per month, or frequently even more, just to get 26k to 53k speeds while accessing the Internet. Once you order your High Speed Access from Western Broadband, you will no longer need an MSN/AOL account, or the extra phone line. In fact, many of our customers have cut ties fully with the land-line based phone company, saving even more. Frequently, our customers find that it actually is cheaper to surf at High Speed. Can I Use Multiple Computers? You can connect multiple computers with your high speed connection, with a device called a router. We do not sell or support any routers, but they can be found at most local electronics stores. The typical cost for one of these is from $30 to $50, and can usually be set up by following the user's guide included with the device. For some users, however, a professional installation is desired, though this is not a service we can provide. Yes, we do require a one-year contract for all new installations. Please contact us at 512-257-1077 or 866-438-3274 if you have any questions about the terms of the contract. Call 512-257-1077 or 866-438-3274 to place an order or just to get more information. Or you can place an Order Request Online, or just Request More Information and our friendly staff would be happy to help. All personnel installing and maintaining our equipment, both on the towers and at your homes, are direct employees of Western Broadband, or its parent company ECPI. These trained professionals undergo a rigorous background check, and thorough training program to ensure that your installer or service technician is courteous and professional. Who Are The Support Staff? Our friendly and professional support staff are located right here in Central Texas. Our main office is located in North Austin, with our backup facility located in northern Williamson County. They are also direct employees of Western Broadband, or its parent company ECPI, and undergo the same background checks as our installers, so your information is always safe with us. These are pictures of the two most common setups, but more height might be required at certain sites.